January 13 is the 13th day of the year in the Gregorian calendar.There are 352 days remaining until the end of the year(353 in leap years). 1435 – Sicut Dudum , forbidding the enslavement of the Guanche natives in Canary Islands by the Spanish, is promulgated by Pope Eugene IV. The Nika riots, or Nika revolt, took place against Emperor Justinian I in Constantinople over the course of a week in 532 AD. They were the most violent riots in the city's history, with nearly half of Constantinople being burned or destroyed and tens of thousands of people killed. Year 5 BC was a common year starting on Monday or Tuesday of the Julian calendar and a leap year starting on Saturday of the Proleptic Julian calendar. In the Roman world, it was known as the Year of the Consulship of Augustus and Sulla. The denomination 5 BC for this year has been used since the early medieval period, when the Anno Domini calendar era became the prevalent method in Europe for naming years. Emperor Guangwu, courtesy name Wenshu, was an emperor of the Chinese Han dynasty, restorer of the dynasty in AD 25 and thus founder of the Later Han or Eastern Han. He ruled over parts of China at first, and through suppression and conquest of regional warlords, the whole of China was consolidated by the time of his death in 57. Year 101 (CI) was a common year starting on Friday of the Julian calendar. At the time, it was known as the Year of the Consulship of Traianus and Paetus. The denomination 101 for this year has been used since the early medieval period, when the Anno Domini calendar era became the prevalent method in Europe for naming years. 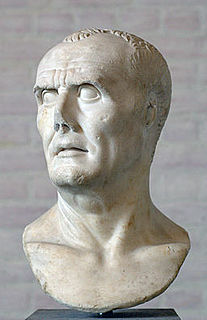 Gaius Marius was a Roman general and statesman. He held the office of consul an unprecedented seven times during his career. He was also noted for his important reforms of Roman armies, authorizing recruitment of landless citizens, eliminating the manipular military formations, and reorganizing the structure of the legions into separate cohorts. Marius defeated the invading Germanic tribes, for which he was called "the third founder of Rome." His life and career were significant in Rome's transformation from Republic to Empire. Year 533 (DXXXIII) was a common year starting on Saturday of the Julian calendar. At the time, it was known as the Year of the Consulship of Iustinianus without colleague. The denomination 533 for this year has been used since the early medieval period, when the Anno Domini calendar era became the prevalent method in Europe for naming years. Tjugondag jul, or Tjugondag Knut, or Knutomasso, or Nuutinpäivä, in English Saint Knut's Day, is a traditional festival celebrated in Sweden and Finland on 13 January. 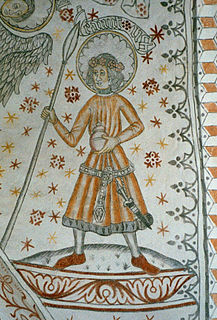 It is not celebrated on this date in Denmark despite being named for the Danish prince Canute Lavard, and later also associated with his uncle, Canute the Saint, the patron saint of Denmark. Christmas trees are taken down on Tjugondag jul, and the candies and cookies that decorated the tree are eaten. 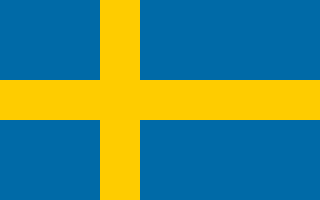 In Sweden, the feast held during this event is called a Knut's party. Blessed Veronica of Milan was an Italian nun in the Augustinian Order. She was reputed to have received frequent visions of the Virgin Mary, and her local cultus was confirmed by Pope Leo X in 1517. Hilary of Poitiers was Bishop of Poitiers and is a Doctor of the Church. He was sometimes referred to as the "Hammer of the Arians" and the "Athanasius of the West." His name comes from the Latin word for happy or cheerful. His optional memorial in the General Roman Calendar is 13 January. In the past, when this date was occupied by the Octave Day of the Epiphany, his feast day was moved to 14 January. Kentigern, known as Mungo, was an apostle of the Scottish Kingdom of Strathclyde in the late 6th century, and the founder and patron saint of the city of Glasgow. ↑ "Convention on the Prohibition of the Development, Production, Stockpiling and Use of Chemical Weapons and on their Destruction". United Nations Treaty Collection. Retrieved 27 January 2018. ↑ Heroic with grace : legendary women of Japan. Mulhern, Cheiko Irie. (1st ed.). Armonk, N.Y.: M.E. Sharpe. 1991. p. 58. ISBN 0873325273. OCLC 23015480. 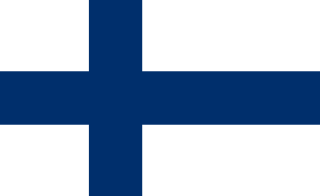 Wikimedia Commons has media related to January 13 .